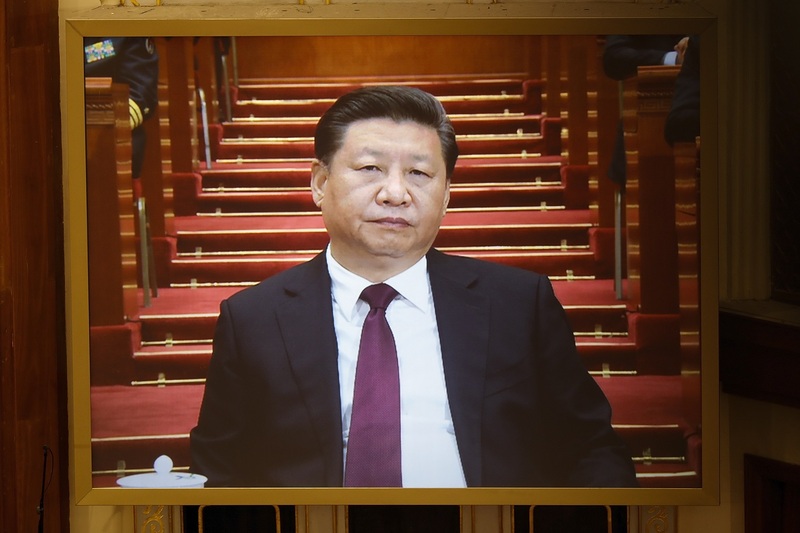 Chinese President Xi Jinping is seen on a giant screen during the opening session of the Chinese People’s Political Consultative Conference (CPPCC) at the Great Hall of the People, Beijing, March 3, 2017. This piece was first published on the NYR Daily on March 17, 2017. Xi, for example, is often compared to Deng Xiaoping, the man who ran China for about 20 years from the late 1970s to the mid 1990s. Deng derived his reputation as the dominant leader of the late twentieth century from his ability to keep the Communist Party firmly in control—think the Tiananmen massacre—but also to experiment with bold new economic policies. It was under Deng that China launched what are still its most substantive economic reforms, such as freeing up farmers from disastrously inefficient state collectives, closing down rust-belt factories, and setting the country on the path to joining the World Trade Organization. The government, for example, talks endlessly of China needing to improve its legal system. But the main legislation at parliament involved setting up a continental European-style “civil code.” In theory, this could enshrine personal liberties and make the legal system work more effectively. But the problem isn’t a lack of laws; it’s the politicization of the system. All sensitive decisions are still made by Party functionaries, not independent judges. So the code is likely to be largely a tool to allow the Party more legal cover for ruling, rather than bringing it more under the rule of law.